In a rare back-office move Harbour Asset Management will change its fund supervisor effective April 1. 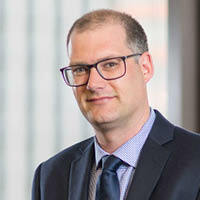 Ruari McGregor, Harbour chief operating officer, confirmed the Wellington-headquartered manager would shift from long-time incumbent supervisor, Trustees Executors (TE), by the start of the coming financial year. Harbour manages about $4.5 billion across equity and fixed income assets. While losing the supervisor gig would be a blow for TE, the Wellington firm retains the Harbour fund administration and custody roles. McGregor joined Harbour in July 2017 from TE where he was a senior client relationship manager. His departure coincided with a period of instability at TE that saw a number senior staff and board members exit the storied NZ trustee firm over a two-year period. However, since the appointment of Ryan Bessemer as CEO (replacing veteran chief, Rob Russell) last April, TE has been in rebuild phase. Bessemer has spearheaded a major technology upgrade for TE in an effort to retain existing clients and break into new markets. Bessemer said the TE supervisory arm had “enhanced our engagement model to also include guidance for fund managers on industry trends and regulatory changes, as well as deep dive analysis into investments and operations of the funds”. In February this year, the almost $1 billion Pie Funds switched admin allegiance from TE to rival MMC. TE, which reports fund under administration of over $120 billion, has a long history in NZ with multiple owners over its almost 140-year existence. In 2015 TE was touted for both an IPO in Australia and a potential trade sale target. The business serves as supervisor for eight KiwiSaver schemes as well as other managed funds. Typically, funds are loathe to replace supervisors (previously known as trustees) given the administrative work involved but such changes are not unheard of. For example, in 2009 the-then Gareth Morgan KiwiSaver scheme dumped Perpetual Trustees in favour of Public Trust as supervisor. Despite the staid market conditions, the restructured Heritage Trustee Company entered the licensed supervisor market in December 2017. The Financial Market Authority (FMA) has licensed five other supervisors, although TE, Public Trust and Guardian dominate the market. Australian firm Sargon Capital, which was involved in a disastrous takeover bid for the Guardian parent company in 2017, bought Heritage this January.